There are certainly a lot of independent comic publishers around these days, but the concept is far from new. 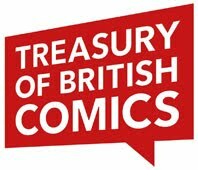 Small UK publishers have been around throughout the history of British comics, and many back then it seems made a healthy profit and had their comics distributed to newsagents. One such enterprising independent publisher was Gerald G. Swan (1902 - 1981) who began publishing magazines in the 1930s. Sensing the impending war at that time, he stockpiled paper so that when wartime paper restrictions came into force he was in a good position to continue and expand. Not only did he distribute his titles to newsagents, he also had a street market stall, similar I suppose to the way that today's indie publishers have tables at various comic events. Swan's publications included mystery, crime, and science fiction magazines and books. He also published comics. 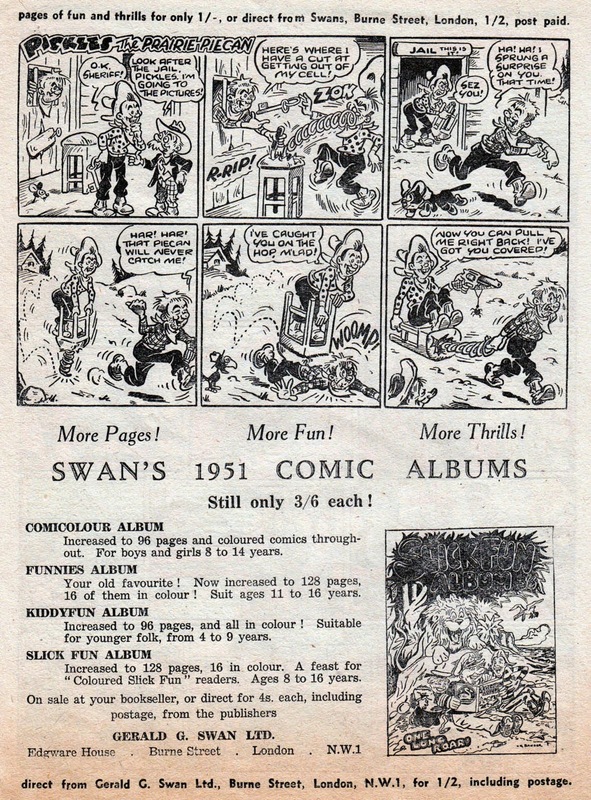 Swan published various hardback comic albums but his weekly comic (sometimes fortnightly or monthly) was Slick Fun, which ran from June 1940 to January 1951. From issue 35 it added colour, which presumably is when it changed its title to Coloured Slick Fun. 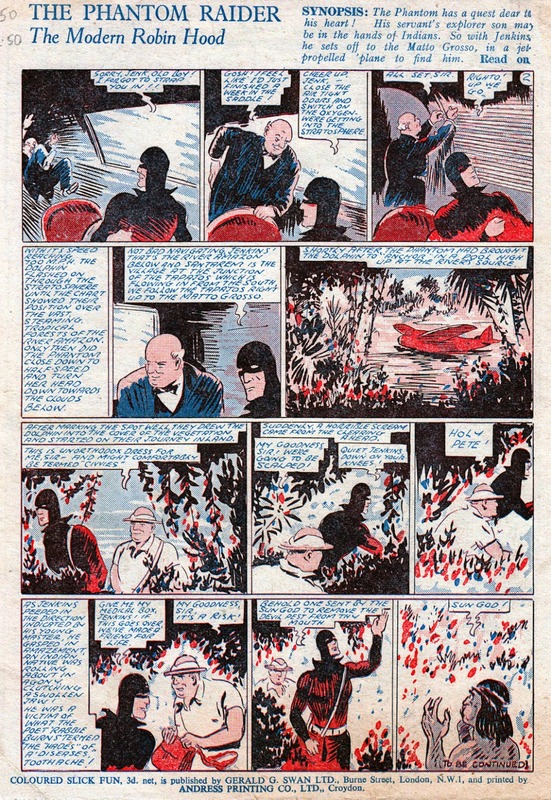 I don't know what the early issues were like but as you can see from No.84 shown here, the "coloured" aspect was just spot colour on some pages. 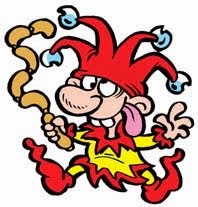 Although, to be fair, even that would make it stand out amongst rival comics such as AP's Film Fun which were solely black and white. This issue of Coloured Slick Fun (dated 14th October 1950) had just 16 pages, and was printed on rough, cheap paper, but it did the job. It still packed in a lot for its 3d (1p) cover price. 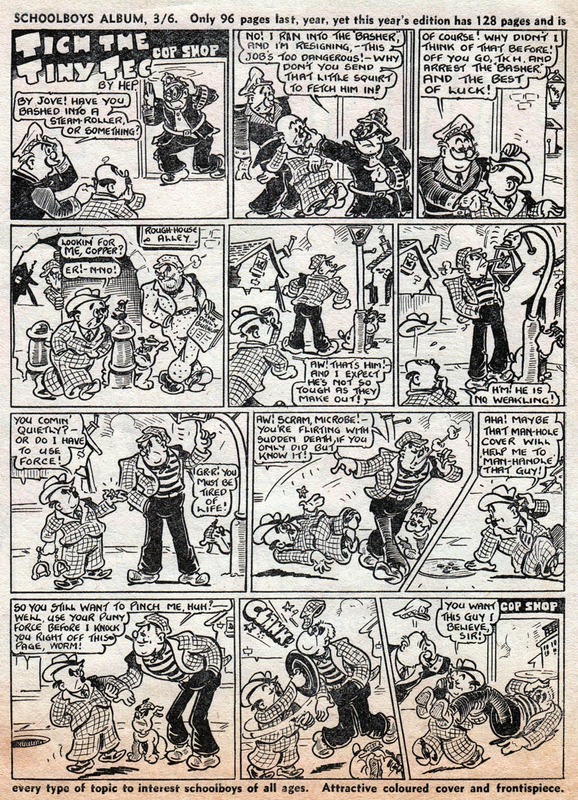 The strips in Swan's comics were often derivative in style to those of their mainstream rivals Amalgamated Press and DC Thomson, and in comparison the scripts and art were considerably inferior, but even today Swan's comics are very collectible. Their rough and ready aspect was part of their charm. 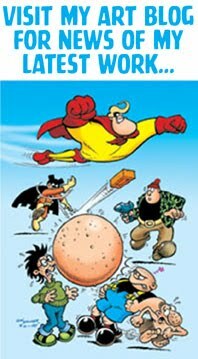 As Phil Clarke and Mike Higgs said in their book Great British Fantasy Comic Book Heroes, "they were so bad they were good". 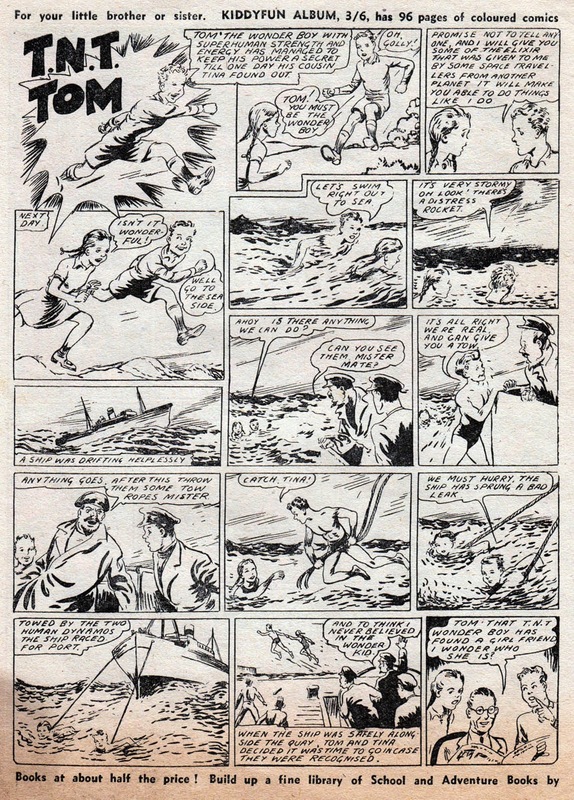 Something Swan's comics had in their favour was the artist Harry Banger, who signed his pages 'Bang' (although his surname apparently rhymed with ranger). You can see a cover above by 'Bang' that leads off this post. 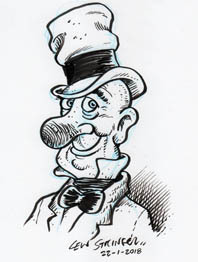 His style was easily on a par with most humour artists, plus it had a very likable look of its own. 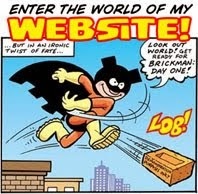 Interestingly, the everyman character Stoogie, seen on the cover, was anything but an everyman in some strips as he was flying around in costume as Stoogie the Superman in the Slick Fun Comic Album, thanks to a magic elixir. Here are a few more pages from this 1950 issue shown. 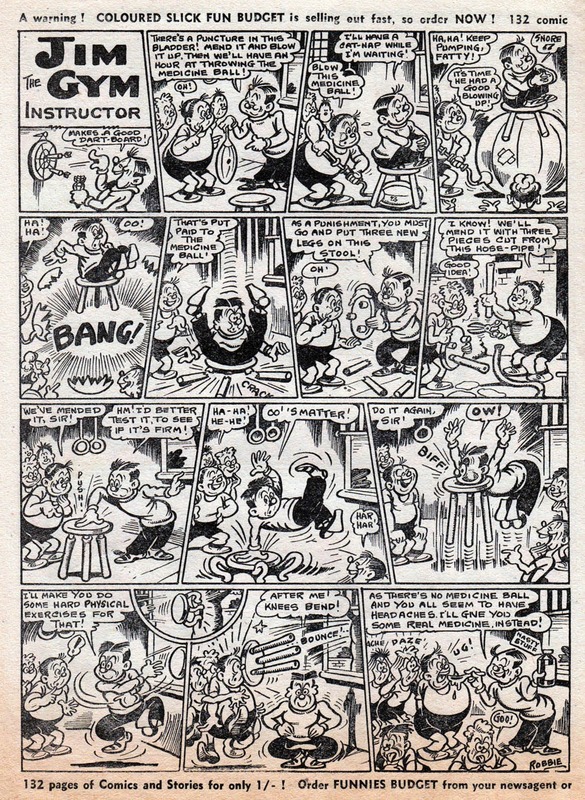 I'm unsure of the artists as the pages are unsigned (except for Jim the Gym Instructor by 'Robbie'). You'll notice a couple of British superheroes amongst this selection too, - T.N.T. Tom who seems as powerful as Superboy, and The Phantom Raider, who simply seems to be an adventurer in a mask. 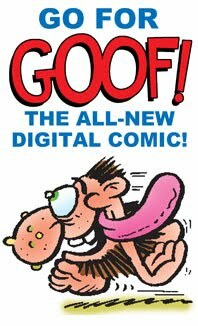 Slick Fun was about the proportion of an American comic, but I've enlarged the pages for you to read them easier. Click on the images to see them bigger. Thanks for posting a Swan comic on your blog, as they seem to be forgotten these days. I've been a Swan collector for years and they are among my favourites. Slick Fun became Coloured Slick Fun circa1945 with issue 20. 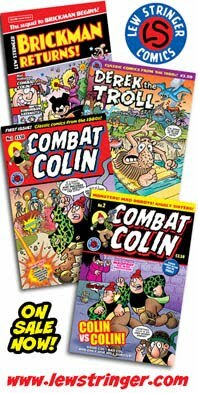 My understanding is that he redesigned all his comic titles at that time to resemble the more 'traditional' British comics being published by the major publishers. 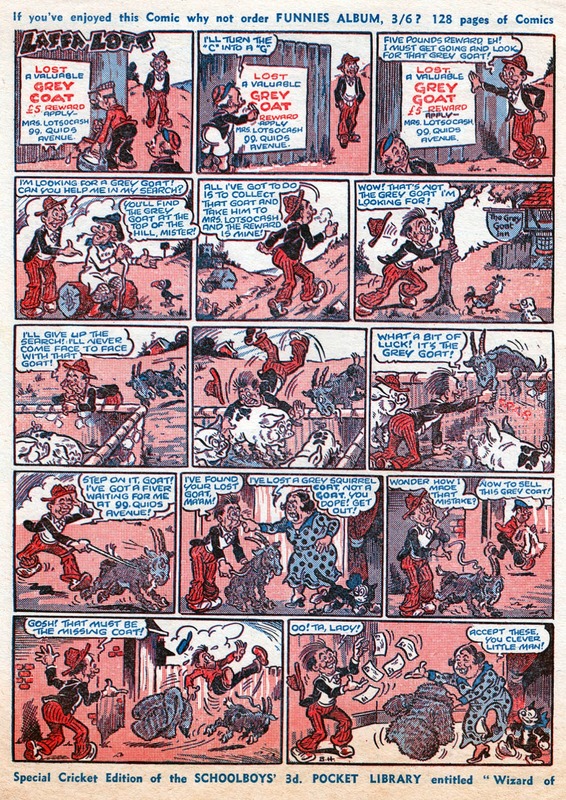 Out went the single panel 'gag' covers, which were replaced by a one or two colour comic strip covers featuring regular Swan comic strip characters. 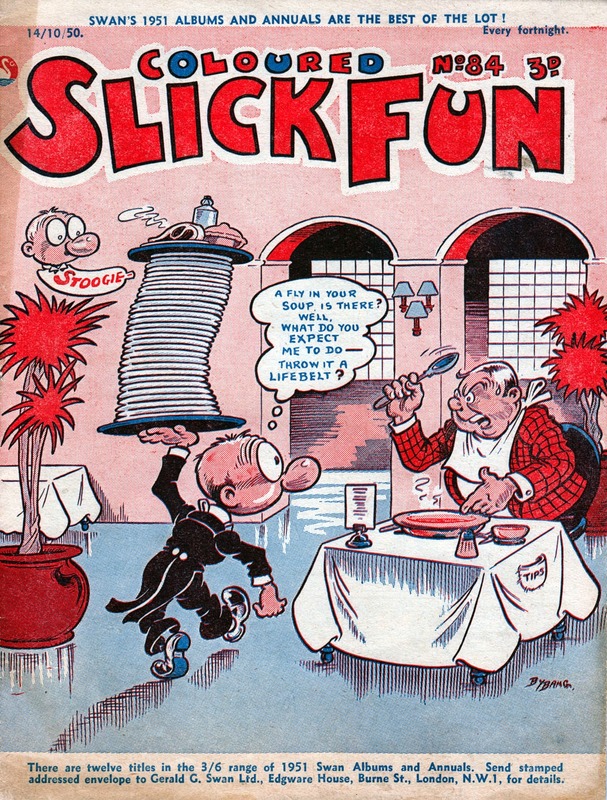 Later issues of Slick Fun reverted to the single panel theme although not as gag cartoons. Thanks for the extra info, David. Yes, it occurred to me yesterday that I don't think I've covered any Swan comics before. An oversight that definitely needed putting right. 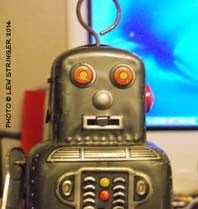 I have a couple of other items I'll blog about soon, when I have the chance. Same proportions as an American comic? That cover even LOOKS like an American comic! Never seen these before, but I'll be looking for them, certainly. Are any parts of the Giant Holiday Fun Comic Album reprinted from Slick Fun? The cover would look more like an American comic if Swan had sprung for some yellow ink! Oh yeah, I remember now! Somehow I got it into my head this was by Amalgamated Press.